Eugene made his appearance on St. Nick's Day. I had been up late working on baking, so his first day was pretty mild compared to last year (sledding on the tree). 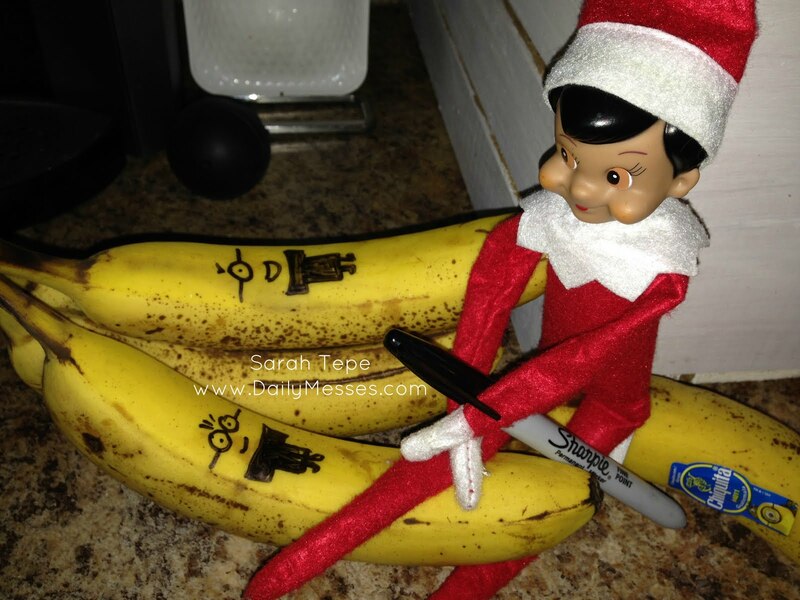 This time, he drew Minions on the bananas. Yesterday morning (12/7) he was sitting on top of a curtain rod.